I reside in Toronto, Ontario. I currently drive a 1993 Silvia that I purchased not too long ago, it’s still stock, waiting on coilovers and few other goodies so I can start getting out there and drifting myself. Nothing serious, just for fun. I have been shooting for a couple of years. I’ve shot at a couple of DMCC events, but where I’ve gotten the most practice and shooting time is at trackdays held by locals from the Toronto area. I still consider myself a photography newb though, I’ve got a lot to learn still. Don’t be afraid to comment and critique on the shots, only good things can come from it! 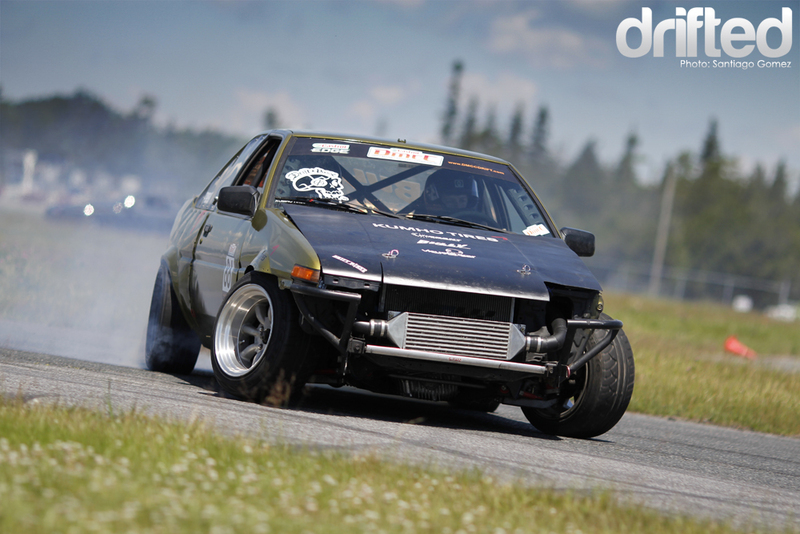 I’ll post a quick recap of one of the trackdays that happened recently at Shannonville Motorsport Park here in Ontario. It’s mostly a lot of amateurs and new comers that come out to have fun and get their skills up, but every once in a while a few DMCC pros stop by to practice and put n a good show. Marin is one of the new comers, however his driving is right up there with the more experienced drivers. It’s awesome seeing him throw his car around, no straight line stops him from drifting. Manji all day, he makes it look easy. Harmit is more of a grip guy, but you can tell he’s not afraid of getting sideways. 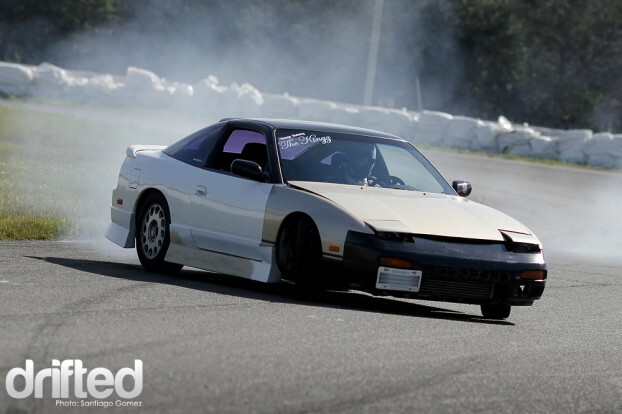 His car came a long way from SOHC to a mild SR20det build and dialed in suspension. 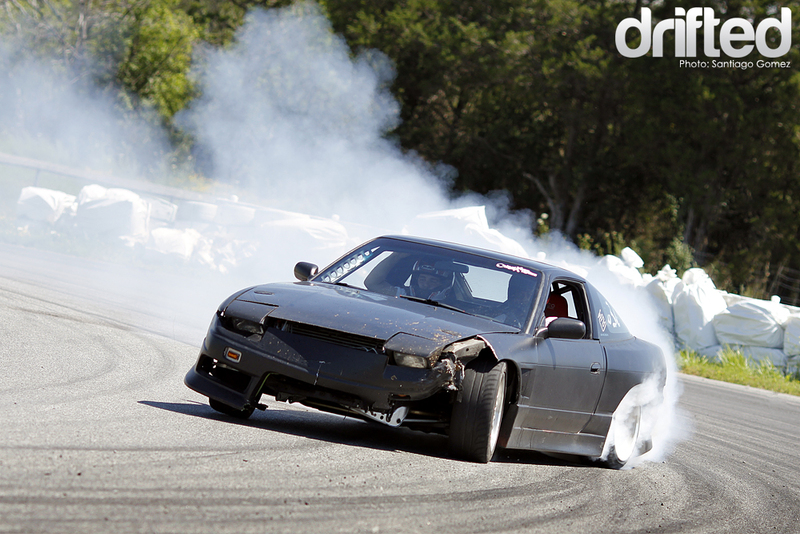 Mark Takahashi is no stranger to drifting or dope fitment. He’s the head of the Union Auto Club. These guys bring style and aggressive driving to the track all the time. If you follow DMCC then you probably know who this is. Pat Cyr in his F20 powered 86. 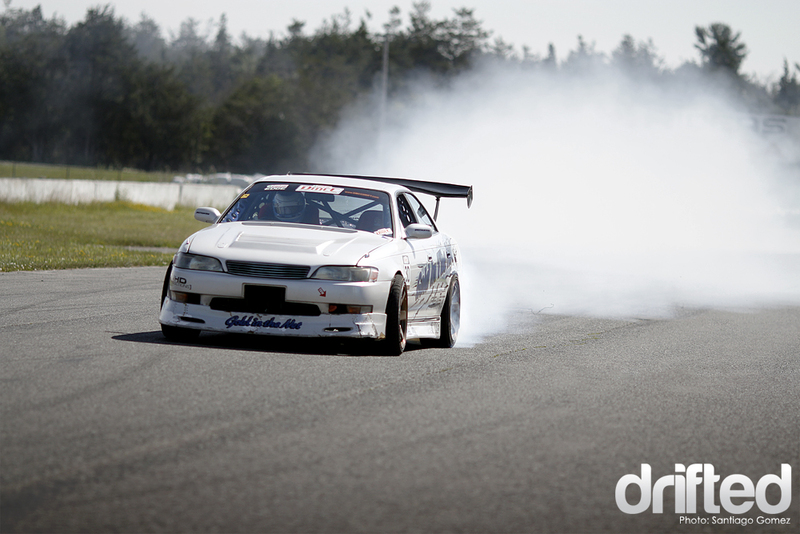 Pat and the Drift Posse never dissapoint when it comes to drifting, and entertaining. His brother Dan Cyr from Cyrious Productions is always there to capture the moment too. Drift Posse cars driven by Brad Carlton (S13) and Pat Cyr (86) chilling in the pits. 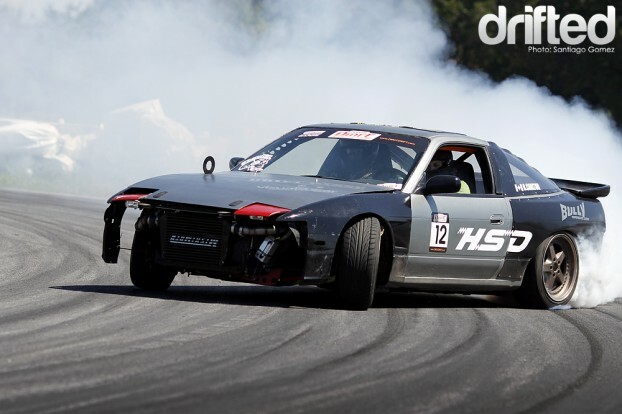 Mats Baribeau in his Toyota Chaser. Effortless tire spin. Smoke machine. Hay bales don’t stop these guys from going all out. This guy was still going hard after locking up and hitting a stack of hay bales near the pit entry wall. That’s all I have for now, I’ll make sure to bring you guys the best of Ontario grassroots drivers, and local trackday coverage. I’ll also be doing driver and car features. Stocked to be able to share content with you guys, and also to be a part of the crew. Much appreciated! 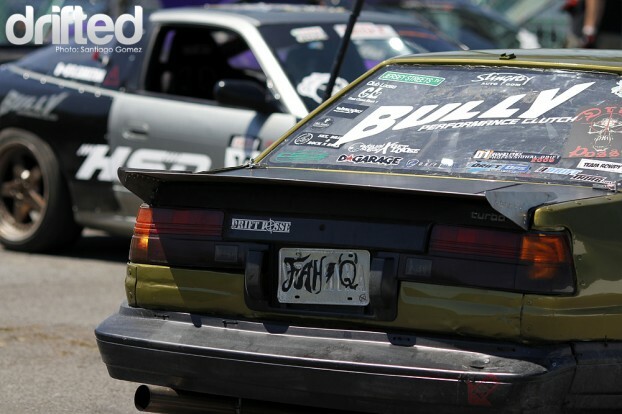 « GRASSROOTS: Drifting is not dead in Atlanta!! !